By the end, frail and broken-down, they were shriveled old people, quietly enduring the ravages of the so-undeserved Alzheimer’s Disease and doing their best not to be a bother for their family or health care workers. The strangers who witnessed their final months and days could not have comprehended, I am sure, the life of love and joy they had lived. They didn’t know about the ever-enlarging family, the children and grandchildren, the greats and great-greats, or of the fruitfulness these two people had unleashed. They couldn’t have looked down the heart’s hallways of the past to a man and a woman wholly devoted to one another, fully giving and loving each other across decades, clinging to one another and living their lives for an epic love, the passion of which never waned. Their start wasn’t picture perfect. For in those days many years ago, theirs was an “broken” beginning. My Grandpa Allison had married and had 2 daughters with my mom’s mother, but it was doomed from the start, it seemed. He married Opal shortly after his divorce. My Grandma Allison had been married before as well and came into their union with one daughter. And so they were now the 2 + 3. It equaled truelove (yes, I meant that as one word). 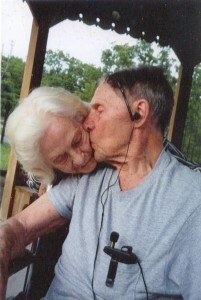 My Grandma and Grandpa never really talked about their start or their love story to my mom. It seemed some things were best left unsaid out of respect and a show of honor of their former spouses, with whom they shared children. So they kept their romantic connection to themselves. There were innuendos and whisperings, as blended families might have, but as for Opal and Everett, they maintained the dignity of silence and, focused on their love for one another, building a beautiful life together. I don’t really come from a family that is all that outwardly affectionate. Love runs deep among us and we are now much more giving in public displays of heartfelt warmth, but words of affirmation, outward demonstration and affectionate touch were not hallmarks of the family I grew up in, except perhaps from my mom, who taught me to do Eskimo kisses and butterfly kiss-flutterings and is my biggest cheerleader and hugger even now. 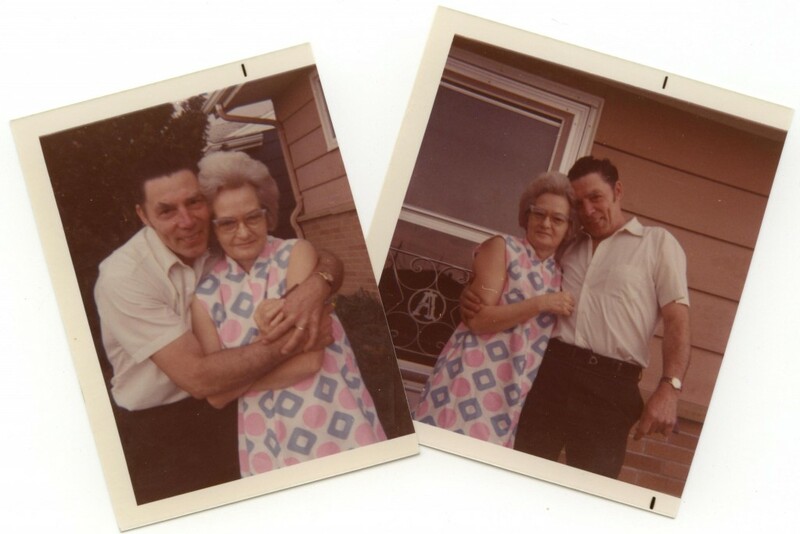 But my very earliest memories of my Grandma and Grandpa Allison are all about the affection, the visible sign of the intensity of an inward passion. They touched constantly. He attended to her every whim, he doted, he adored. He held the door and he held her hand. He always checked her needs, reactions, and responses first in any situation. There was never a doubt in my mind that my handsome, raven-haired, energetic and athletic Grandpa, whose hair only fully grayed during his final few years, adored my Grandma. And she in turn looked at him lovingly, from the dark brunette and sometimes frosted days until her coiff was pure as snow. She was his gentle home, his soft place to land, his True North. Her approval, as a strong and beautiful woman, full of wisdom and grace, was poured on him freely and he thrived successfully in any endevour he attempted because of it. 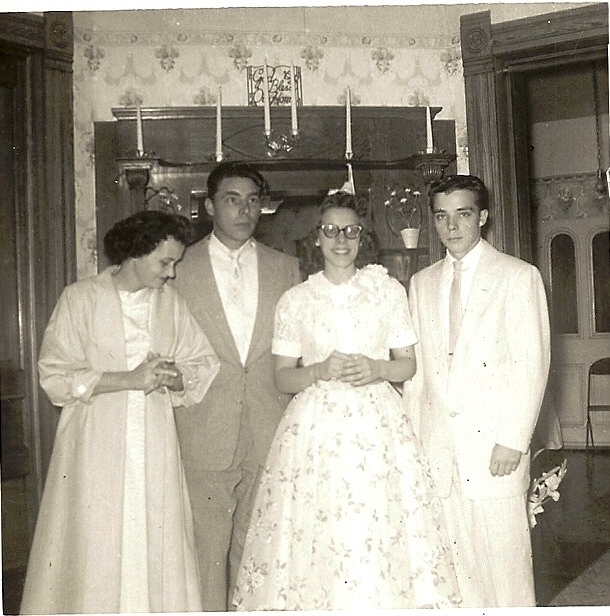 My grandparents at my own parents’ wedding, August 1957. Are those the most beautiful four people you have ever seen? Ok, maybe I am prejudiced about that, but my mama sure had a handsome and stylin’ dad and chose a cutie-patootie for a husband! There was such deep love. 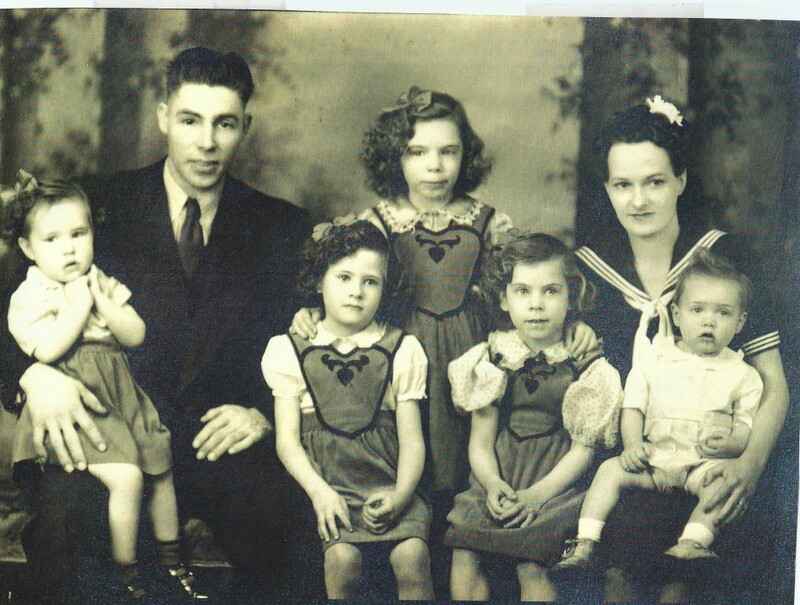 He served in WWII in the Phillipines in the Navy, leaving his wife and now 5 children-between-them at home. 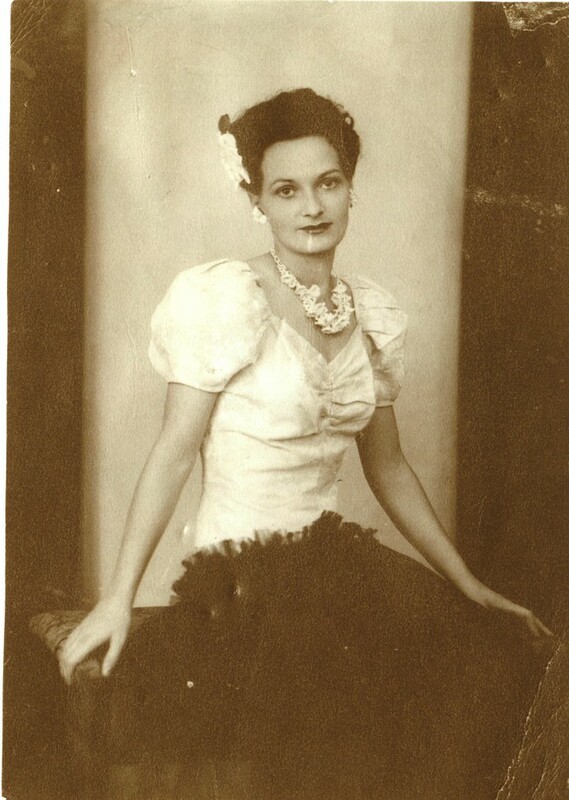 My daughters and I love the pictures she had taken in a beautful gown to send to my Grandpa there because he desired, as he told her when he requested the photographs, his own “pin-up girl” in his foot locker. 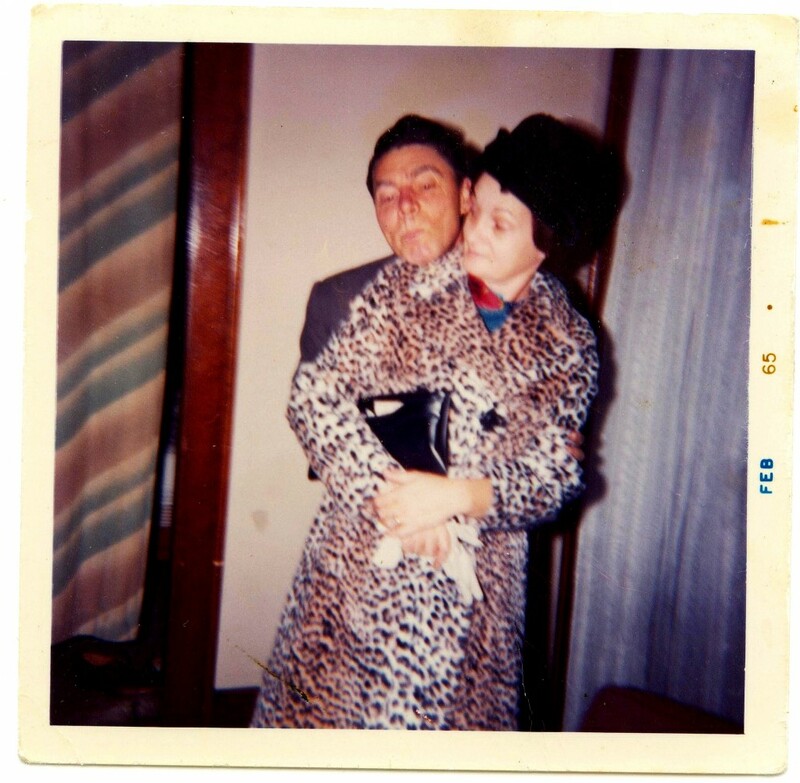 Every memory I have of them, through my Kodachrome-colored memories of the early 1960s (I wish there were more actual photographs, but the times…), and throughout my life includes the touching, the hugging, the kisses, the hand-holding, the warm affection and assurance of a lasting love. And they shared that, too. My Grandpa was the man who’d hold me on his lap like a little princess and call me “Debbie Jean” to make my momma happy (she’d lost the name game to my dad’s choice). This beautiful man I admired with all my heart and soul as a little girl became even more deeply imbedded in my heart when, after I was grown and married, he made a decision to follow Christ, quickly becoming a man of the Word and leading the adult Sunday School class at his Baptist church. He’d spent years investigating religions, a good man who didn’t fall lightly in to things. When he decided to follow Jesus, he sent me a letter and said, “Oh, how many years I wasted looking for truth. I wish I could get them all back to serve Jesus.” I got my business sense from him, he was a mover and a shaker and quite entreprenurial. Brave and creative, his influence on me, especially in retail aptitude, is undeniable. I admired them, perhaps even revered them. Attending a family funeral when my children were little and watching them walk in, he, my ruggedly handsome and distinguished grandpapa in his suit, she, my darling grandmama, elegant and serene ~ I was mesmerized at the regal sight of them, so proud to call them my grandparents. They sat down the row from me, in their early 70s. They were holding hands like young lovers, yet seasoned and wise sweethearts; the embers, once shooting flames in a youthful, passionate romance, now white-hot and glowing, a stronger, deeper love for the years. My Grandpa passed away a few years ago. He’d been fighting to retain the identity Alzheimer’s so ruthlessly rips from a soul. His final days in a nursing home left Grandma rattling around their large retirement home on the Lake of the Ozarks mostly alone. 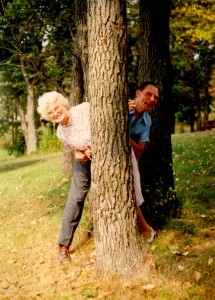 When my parents visited and they planned a trip to see Grandpa, my mom says Grandma Allison (my mom’s beloved step-mother, a woman whose love and acceptance meant everything to my mom), would become as giddy as a school girl, curling her hair and doing her make-up, excited to go see her love. She even complained that several of the nurses flirted with him and she was not happy about it. And even as he was failing and struggled to recognize his own children, when his love arrived, he knew her. And the affection between them melted away the wrinkles and the years. 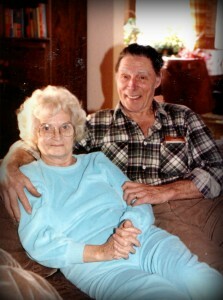 Those times, they were just Opal and Everett, lifetime lovers. And she would sit in his lap and put her arms around him. They were head-over-heels in love until the end, “two hearts that beat as one,*” that ridiculous almost never-seen kind of love that everyone thinks they have on their wedding day – but few seem able to maintain to the end. Before Grandpa even died, my sweet, tiny Grandma, the most loving and thoughtful, and gracious woman in the world, was also diagnosed with Alzheimer’s Disease. 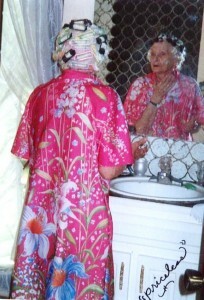 When he passed on, my gentle grandma deteriorated quickly – just started slipping away. She was moved to a care center and went very silent. 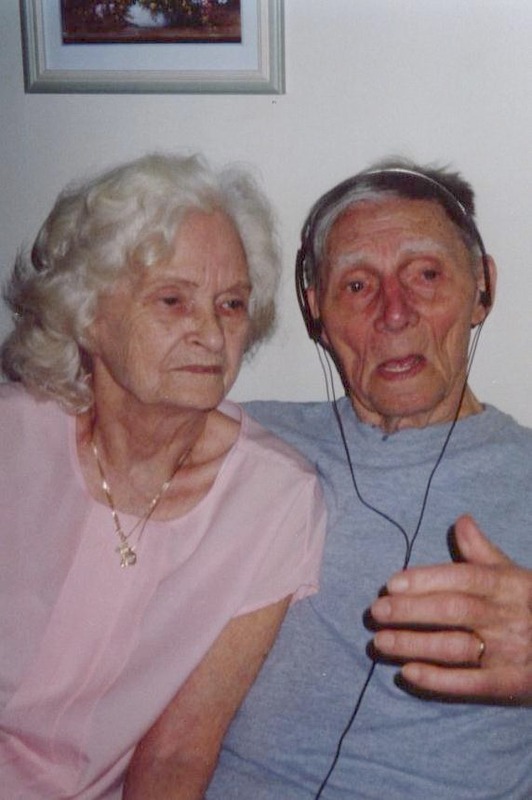 My mom was able to bring some glistening light to her eyes by singing a song she loved, one my Grandpa had sung to her “You are my sunshine, my only sunshine…” Grandma would somehow muster strength to hum along, a pleasant memory dancing behind her eyes. So sweet – and some of the sweetest people I’ve ever known…I wish we could have visited them more growing up – I remember even when Grandpa was in his 70’s seeing him walk up from the lake without a shirt on, still one of the most handsome men around! :) I hope and pray for a love like that! This totally made me cry! What a fantastic love story that I plan to have for myself as well. 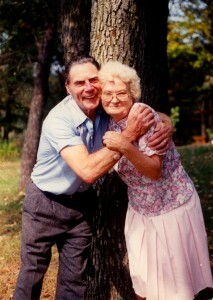 Thank you Great Grandpa and Grandma for loving each other to the end! His love and commitment to her covered her with so much grace. You could tell her love was very precious to him and he cherished her. She was a beautiful bloom, very soft and tender because of it. You did a great job honoring them. HEY! “Aren’t you suppose to hand out “kleenex” for these kinds of things? I could hardly even get straightened out to go on. It took a few minutes.! Great…..Beautiful….sooo touching! I love you Baby Thank you sooo much.! I truly believe I took a lot of those pictures myself.! I remembered being behind the camera.! It brought them so close to me again.! Felt like I was standing right beside them once again. It won’t be long! 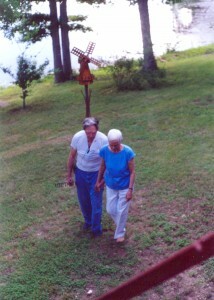 Grandma and Grandpa’s love is “epic”.My sense of love and family was entirely shaped by their perfect example. I posted the video on facebook. Their love is an example that should be shared. Wow, that was a tear-jerker, momma! It’s a love to aspire to. It makes a person question how to get there and really truly work toward that as a goal. They were a beautiful couple! Amen! You are right, sister-kins. Amazing… absolutely amazing. That kind of love is very rare. Reading through your story had me bawling like a baby! I don’t even want to think about losing my soulmate. We have been married for 28 years, been together for 29 years. We got married when I was only 16 and he had just turned 18, we have 3 beautiful kids together and now have 4 beautiful grandsons! People laugh at us and tell us that we act like we are still newly weds. He still opens every door for me, we still hold hands, never leave without kissing and we tell each other I love you as much as possible. Saying it is one thing.. but having the meaning behind it also makes it completely different! I wish we had more pictures of us together in our early marriage. What a wonderful person you are to keep their love alive by sharing their love life/story. Thanks for giving us all an opportunity to read it! May they rest in peace together?